I-Spy is among the most prominent Polygraph testing corporations in The UK, with its official headquarters based in Cardiff. Besides, carrying out lie detector testing across the UK, I-Spy can offer polygraph services both far and wide to other countries and regions. We specialise in offering extremely private polygraph testing for Personal cases. Our inspectors have all carried out advanced-in-home polygraph training. Furthermore, they use the most recent cutting-edge computerised instruments during testing. Also, they are utterly familiar with the latest testing strategies and procedures. When you are desperate to find out the truth about a personal matter, I-SPY can help you. Once you decide where to take a lie detector test, you can rest assured that all our examiners are professionally trained and verified. Exams can be conducted for almost any legitimate purpose throughout the UK. We provide professional polygraph testing services as per the requirements of our clients. Thanks to our expertise and experience, we are the leader among reliable polygraph testing providers in the UK! Our services are available throughout the UK. Regardless of whether you are in London, Liverpool, Leicester, Manchester, Bradford, Doncaster, Leeds, Sheffield, Cardiff or a different city, our examiners can reach any location. The compliance of our examiners’ work with quality standards is of the utmost importance to us – this guarantees the satisfaction of our clients. 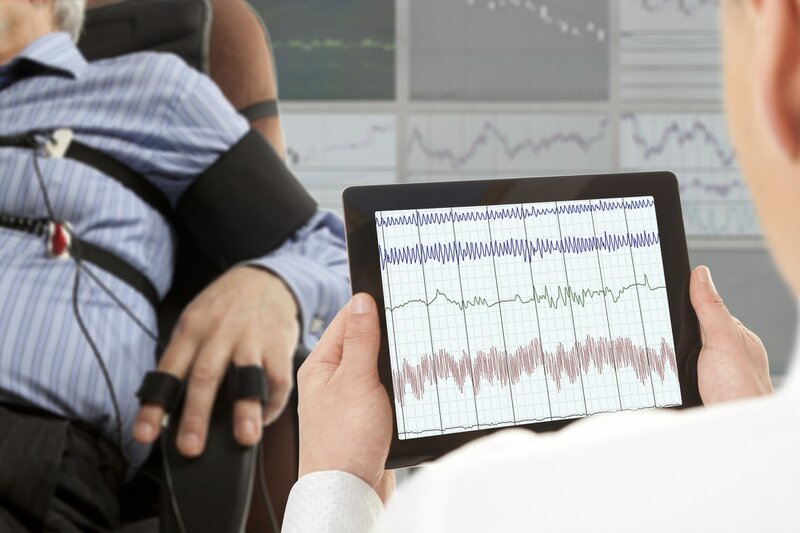 We specialise in sharing our expertise on polygraph examinations and offer professional polygraph tests throughout the UK performed by certified polygraph examiners. Our stringent selection of British examiners and a regular, periodic control procedure of all examiners ensure the highest quality of service and our clients’ satisfaction. Once you decide where to take a lie detector test, you can rest assured that all our examiners are professionally trained and verified. There is nothing more distressing than handling household or individual matters that you cannot arrive at any conclusive outcome. In case the concern of doubt ends up being a significant issue, I-SPY can give you that assurance that no other methods can bring. Our inspectors are sensitive to these requirements, and we provide a friendly, objective option to your issues. All of our examiners undergo very strict quality control. The results of examinations are also verified by a second independent examiner before being presented to the client. All experts are bound to conduct examinations in a confidential and neutral manner. We only work with a narrow group of experts who fulfil all our requirements. Each month we receive numerous applications from examiners wishing to cooperate with us. As much as 60% of them do not fulfil our stringent requirements due to lack of experience, skills, knowledge, or even their individual approach to clients. Dishonesty or bias in result interpretation is also not tolerated. The accuracy of a performed test reaches the level of 95-98% only when conducted in an incorrect way, even on the same type of machinery, in the best case, can be compared to coin-flipping. Your money is then wasted while you still have doubts and stop believing to ever know the truth. Don’t get tricked! We respect the money and trust we get from our Clients. We are committed to delivering reliable test results with an accuracy of 95-98%. Here at I-SPY Detective Agency we aim to deliver the highest quality services to clients seeking polygraph assistance, putting their satisfaction first. We strive to provide the most accurate and consistent test results, with the belief that even the bitterest truth is better than the sweetest lie. Lie detection tests is the process of using questioning techniques in order to detect deception. There are technologies used for this process called Polygraphs also known as lie detectors that monitors a person’s physiological reactions such as breathing, galvanic skin response and pulse which prints out the results on a graph paper. The printout shows exactly when, during the questioning period, the biologic responses occurred. The polygraph in the hands of an inept specialist can cause more trouble to the person being examined. These "so-called experts" with little knowledge of how to carry out polygraph testing also account for much of the criticism, misstatements and wrong impressions surrounding the use of polygraphs. Nothing can change experience, maturity, level of training and competence of the polygraph inspector, for that reason choice of the appropriate inspector is of utmost significance. The inspector utilises the most recent approaches and strategies. The inspector has carried out consistent expert advancement courses on a routine basis. The inspector employs the current computerised devices. I-Spy Polygraph inspectors satisfy all the above requirements and undergo strenuous quality assurance training and procedures. Q. How precise is the polygraph? No polygraph test is infallible. But, our polygraph technique has the highest industry accuracy standard. Over 250 research studies have been carried out over the previous 25 years on the precision of polygraph testing. More just recently, a research study has revealed that the precision of electronic polygraph testing is 98%. The standard accuracy for most tests falls within the range of 90 - 95 %. Q. Is the polygraph-like the lie detector? A. Yes. The polygraph instrument is a clinical, diagnostic instrument which is typically called the "lie detector". It would be better suited, nevertheless, to call it the "fact verifier". Q. I am telling the truth, but I fidget about taking a polygraph evaluation How does the polygraph develop the distinction in between the state of uneasiness and responses as a result of lying? A. The polygraph does not translate worried responses which are tape-recorded on the polygraph charts as a symptom of deceptiveness. The polygraph will separate anxious responses from those answers that are tape-recorded when an individual is intentionally lying. Q. Can I know what the questions on the polygraph evaluation will be in advance? A. Yes. You will be notified of the specific phrasing of each concern that will be asked of you during the polygraph assessment. There will be no "hidden questions". Q. For how long does a polygraph evaluation last? A. A polygraph evaluation takes about 2 to 3 hours. Nevertheless, some might take less or more time, depending upon the nature of the problem under examination. Q. Why does a polygraph evaluation take 2 to 3 hours? A. The inspector will give an in-depth description of the polygraph treatment, how the polygraph works, and he will address any concerns that the examinee might have. The inspector will also go over the outcome and notify of the examinee's polygraph evaluation.